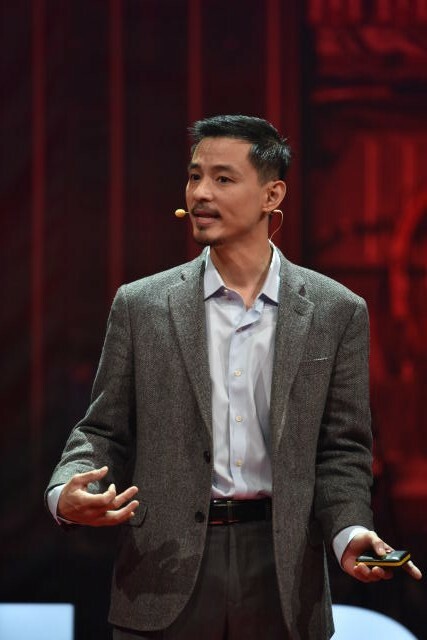 At the recent TEDx CERN event, Intellectual Property Watch caught up with bioethicist and legal philosopher Matthew Liao, to reflect on challenging moral questions raised by new advances in computing and neuroscience allowing for the manipulation of human thoughts and memories. Liao reflected on whether we should use drugs and technology to erase traumatic memories, and if individuals have a moral obligation to themselves to remember certain events. TEDx CERN was organised by the European Organization for Nuclear Research (CERN) on 9 October (IPW, WIPO, 19 October 2015). Speaking at the event, Liao depicted a future where victims of abuse and post-traumatic stress disorder (PTSD) are given the option of selectively erasing painful memories. He explained that scientists have already discovered ways of manipulating memories. By increasing the enzyme level of specific molecules individuals can enhance their ability to remember certain events, whilst blocking the enzymes results in forgetting. Moreover, he stated that deep brain stimulation (DBS), which involves implanting a medical device that sends electrical impulses to parts of the brain, is already used by thousands of people around the world to treat Parkinson disease and depression. Liao highlighted how the crucial question is no longer whether the capacity for neurological manipulation exists, but rather what ethical considerations should be taken into account when deploying these technologies. As memories serve as evidence of events, by modifying memories we would effectively be altering our understanding of our personal history and thus of our own identities. He questioned whether using such technology would prevent us from fulfilling our legal obligation of remembering a particular event, as well as preventing us from acting as our own moral agents. According to Liao, these advances in computing and neuroscience will force us to collectively reflect on what principles underpin a “good life”. The point of using such technologies, he said, would be to enhance our own personal wellbeing, yet this presupposes an understanding of what a “good life” consists of, and the role memories play within it. In his concluding remarks, Liao brought home the point that we should exercise caution in developing these neurotechnologies. Whilst they have the potential of allowing victims of serious abuse to recover, they also have the capacity to fundamentally transform society at large. At the event, Liao took time to sit down with Intellectual Property Watch to have a deeper look at some of the implications raised by human engineering from a data protection, security and intellectual property rights perspective. Intellectual Property Watch (IPW): What are your views on the ethics surrounding intellectual property policies and access to medicines? Matthew Liao (LIAO): I think that access to medicines is a human right and there must be a way to allow companies to make a profit from developing medicines whilst still allowing people to access medicines. This balance is not always struck in our current IP laws, and they should be restructured to reflect the balance. IPW: Do you think memory manipulation technology could eventually be made available to developing countries, or will it always be too expensive? LIAO: The way that technology works is that it is very expensive at the beginning but eventually becomes more reasonable. With regards to chip implants used for deep brain stimulation, we’ve already seen the cost of memory chips fall significantly over the years due to the economies of scale. Moore’s Law will apply to chip implants, and it is feasible that they will become more affordable. IPW: Brain implants would presumably gather extensive amounts of personal data about an individual. What measures should be in place to protect this data? LIAO: Security is a crucial concern in this area. It raises a whole host of questions over whether the data should be encrypted, and if so who should be in possession of the encryption key. I am currently writing a book that explores some of these issues. I am realistic about such issues and acknowledge that the data will most likely have to be encrypted, as the risk of people manipulating what’s in your mind is too high. We have to think about security from the very outset of developing these new technologies. This also has an effect on intellectual property rights. The current IP framework is designed for existing technologies and might be unable to cope with neurotechnologies and data being collected from our brains. These new technologies might force us to reconsider our intellectual property, privacy and data protection legal regimes. These neurotechnologies also raise interesting questions such as whether someone can patent a memory. As well as how these technologies will be monetised, and whether this will be through the use of personal data. IPW: How long will it be until these technological developments become a reality? LIAO: These developments are still in the experimental phases, but they are happening very fast. DARPA [United States Defense Advanced Research Projects Agency] has invested significantly in what they call memory prosthetics. These are memory prosthesis implants for soldiers with brain injuries that impair their memories. They are trying to replace memories in the same way that they replace lost limbs. Considering the investments DARPA is making, it is realistic to consider that these advances will come to light in the next ten to fifteen years. However, there are still a lot of things we do not understand about the brain. This is one of the reasons why the Obama administration has launched the “BRAIN Initiative” and the European Commission have put over 1 billion euros in the “Human Brain Project”. I believe that the brain is the next frontier. It will be like the human genome project. Twenty years ago we thought it would be impossible to sequence the human genome and now it can be done within twenty seconds. With all the investments taking place in this area we will learn things very quickly. Marianna Drake is an intern at Intellectual Property Watch and DiploFoundation. She has an LLB Honours in Law from King’s College London where she developed an interest in information technology law, Internet governance and Internet related intellectual property issues. Marianna Drake may be reached at info@ip-watch.ch. "“The Brain Is The Next Frontier,” Bioethics Futurist Says, Raising New Societal Challenges" by Intellectual Property Watch is licensed under a Creative Commons Attribution-NonCommercial-ShareAlike 4.0 International License. Could it ever get to point in neuro technology that human memory is recorded and uploaded to a chip for preservation?With the possible opportunity to transfer a live human conscious into a machine? I’m calling this event the acension of Man into Machine.